 The World Congress on Engineering Asset Management has been held annually since 2006 commencing with the inaugural event on the Gold Coast in Queensland, Australia. Subsequent congresses have been held ing Harrogate, England (2007); Beijing, China (2008); Athens, Greece (2009), Brisbane, Queensland (2010), Cincinnati, USA (2011), Daejeon City, Korea (2012), Hong Kong (2013), Pretoria, South Africa (2014), Tampere, Finland (2015) and Jiuzhaigou, China (2016). Planning is now well underway for the 2017 Congress (www.wceam.com) which will be organized and hosted by the Asset Institute, Australia. 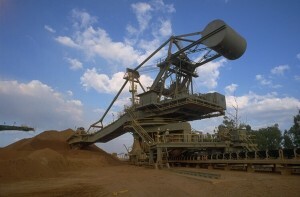 to showcase the state of the art systems and technology in Engineering Asset Management. Delegates attend this congress from all parts of the world and include professionals from many areas of government (including policy makers), academia and industry. The program consists of invited keynote presentations, oral submitted presentations and poster submitted presentations. Industry case studies are also featured. The Congress calls for abstracts each year. WCEAM is a refereed conference. All final papers are peer reviewed in full by a panel of international experts. The proceedings are published by Springer and indexed by Scopus. The Society provides thought-leadership and influence on a global basis to coordinate the discipline’s advance with academics, practitioners, and policy makers in the emerging trans-discipline of Engineering Asset Management.